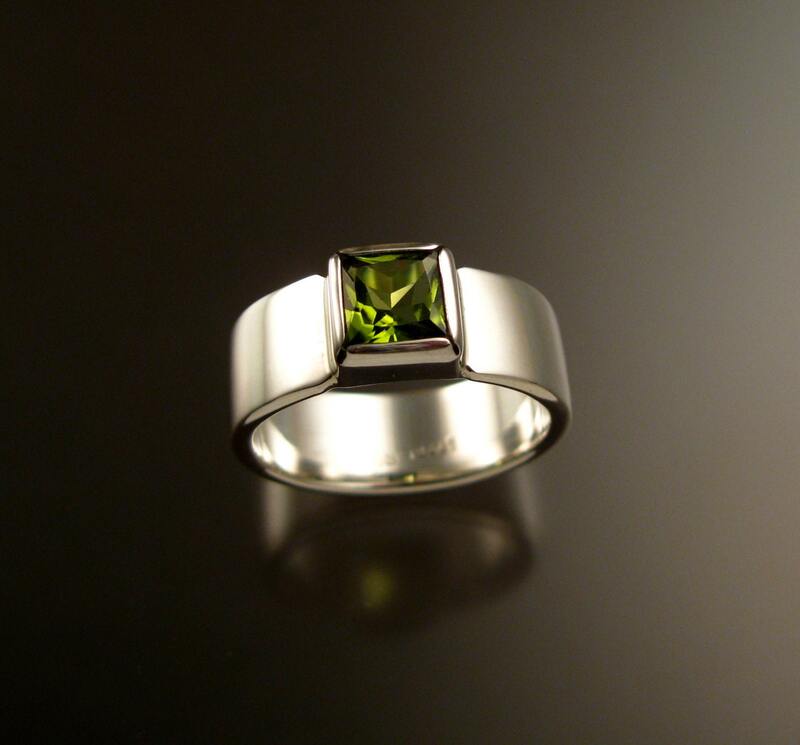 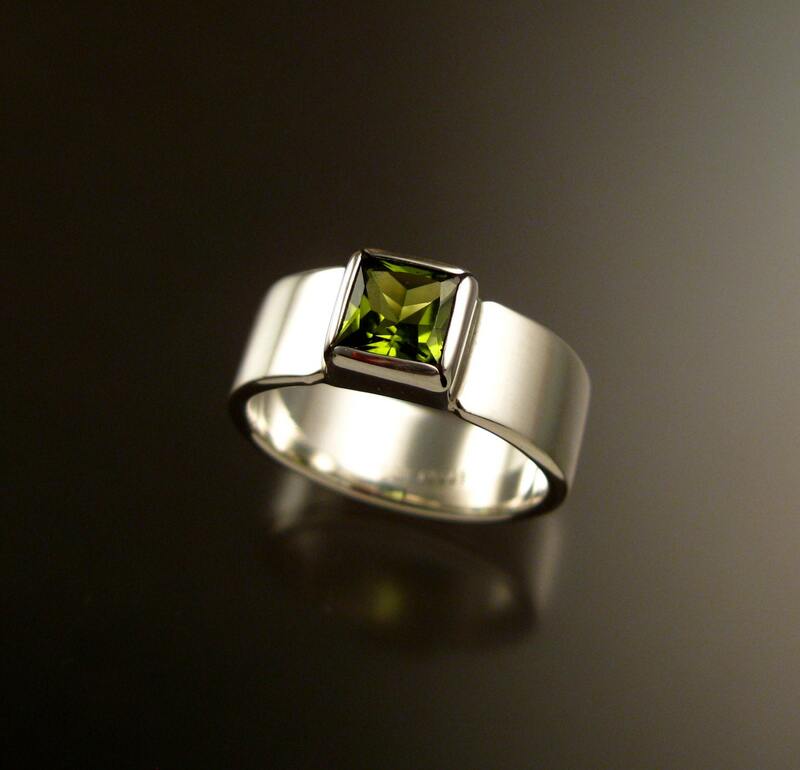 This natural 6mm scissors cut square Peridot is bezel-set in sterling silver. 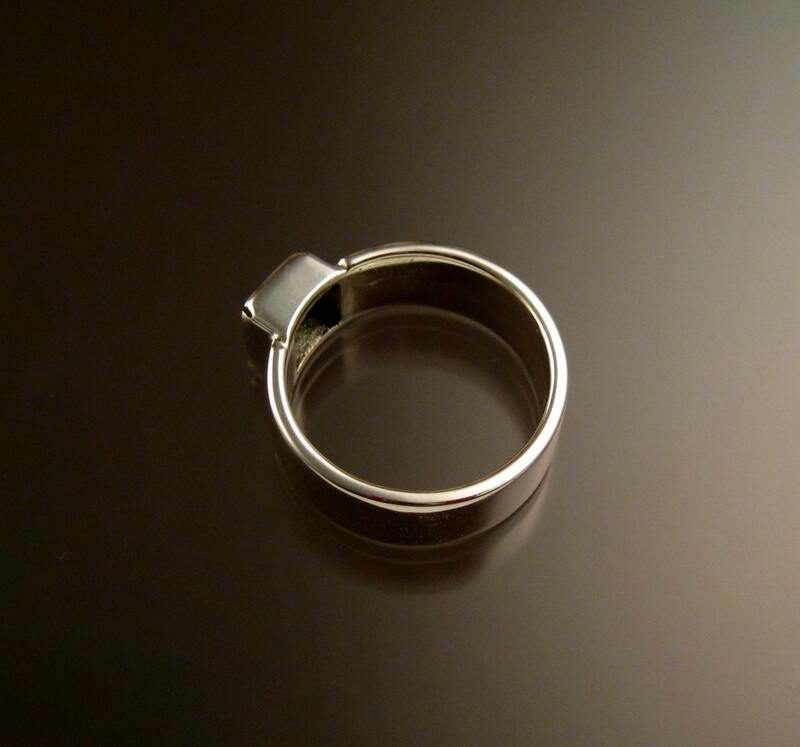 The band is a 7mm wide by 1 1/2mm thick cold forged comfort fit band. 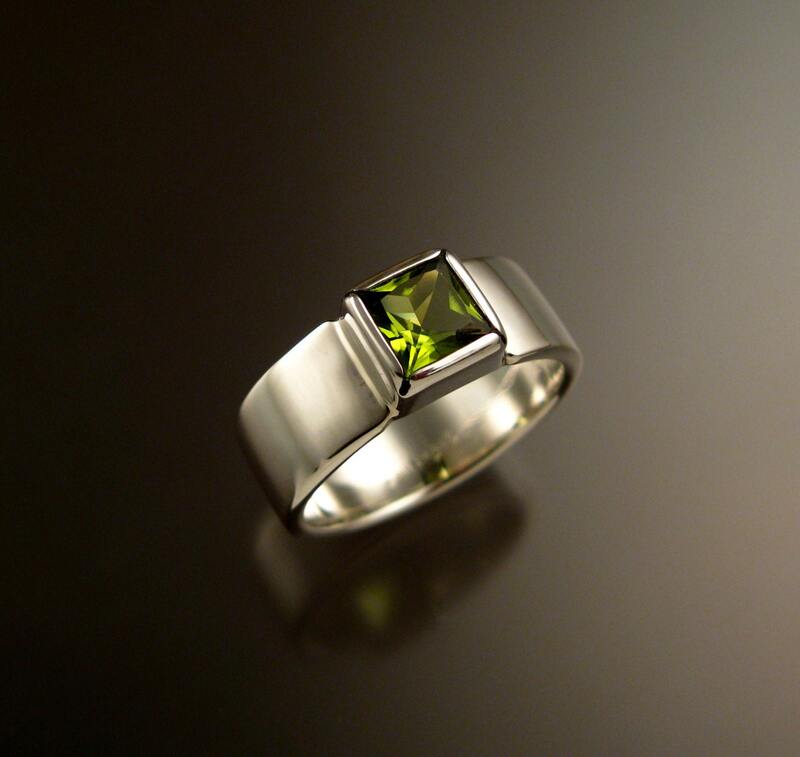 I make these as orders arrive in any size between 6 and 11. 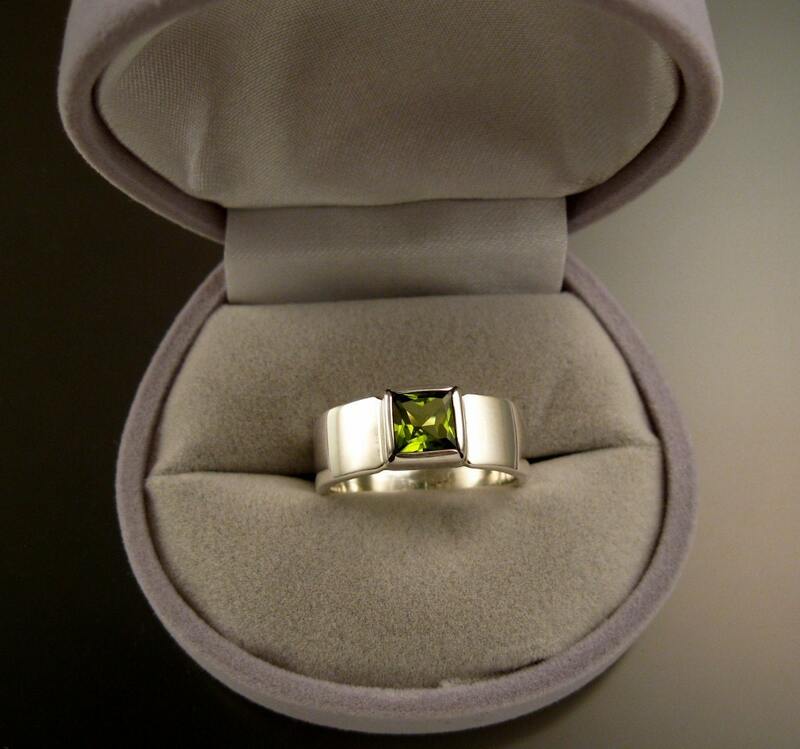 The pictured ring is size 7 for scale.